Competitive, Reliable, Flexible, Ready for challenges and Client oriented. These are our core values that makes Self Trust Romania a solid provider of solutions in the Conveyor manufacturing industry. Extensive experience for Airports up to 3.500.000 passengers per year. As an Airport conveyor manufacturer we have successfully implemented projects in Europe and Africa and we have been involved as a supplier for projects in other parts of the world. Starting from the design up to the actual implementing of the project, service and post service phase we guarantee our clients a high level of transparency. We believe that this is the key for having successful projects and satisfied partners and, furthermore, we believe in the H2H approach of the sale, where the attention to the people involved is as important as the project itself. Due to our strong Design and Research department all the products above are delivered to the client as a turn key complete solution. 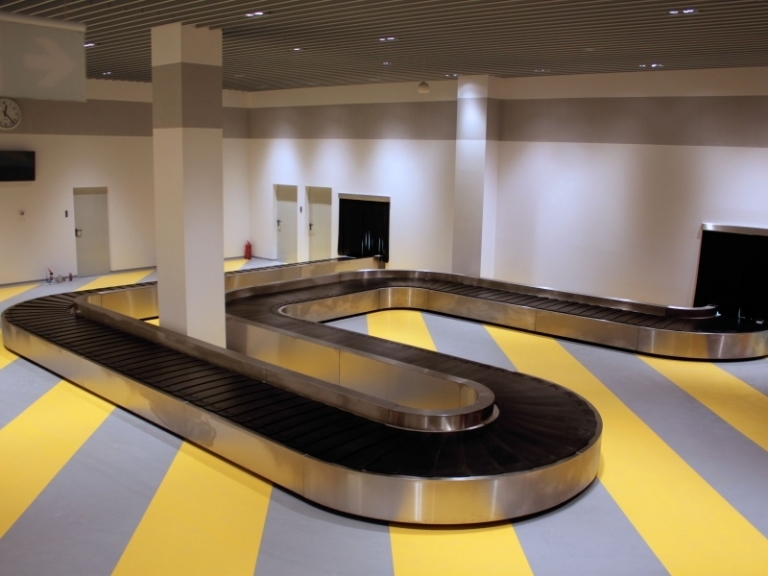 We believe that our strongest point as an Airport conveyor manufacturer is that everything is designed and built in-house, thus ensuring a complete quality traceability. Furthermore the equipment and automation are installed by our own specialised teams. Self Trust Romania provides principle solutions and assistance without any financial implications. 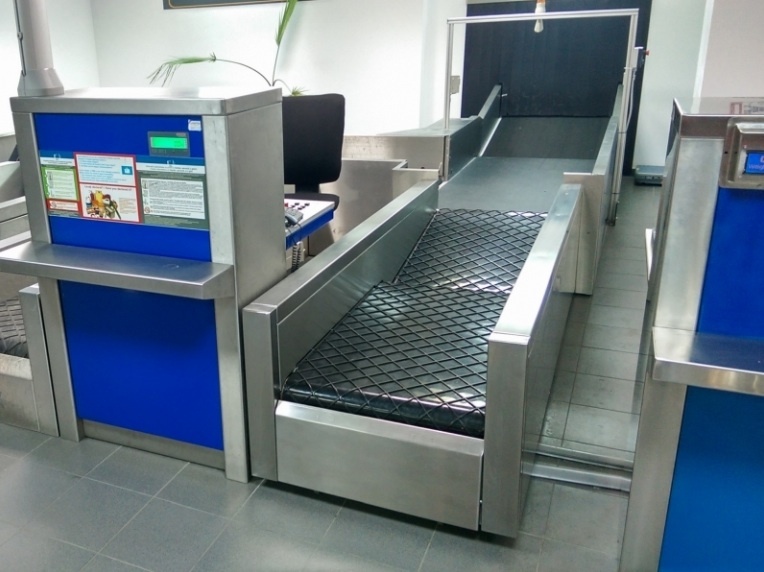 In order to deliver a complete solution to our partners we have developed different types of Check in counters to fit our Airport Conveyors. All of our products can be customised (dimensions, design, options) to fit the exact requirements of our clients. Self Trust has developed the Check In Conveyors (weigh in conveyors) having in mind that this is the first stage in baggage processing and this is the equipment that the passenger’s see up close. Considering that we take a different approach on designing the conveyors by implementing a system called “10 minutes maintenance” that allows to change almost any part of the system in under 10 minutes. Also, besides the standard stainless steel finish that is used world wide, we have developed a range of products with a special finish (a composite material made from marble and resins) that allows the conveyors to be an integrated part of the entire architecture of the Terminal by offering the possibility to use almost any colour desired and to have volume shapes instead of the straight surfaces obtained by using stainless steel. 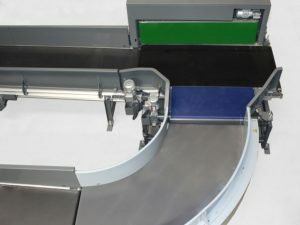 The check In conveyors are designed by Romanian engineers and completely produced and assembled at the Romanian factory. Having our own Design and Research Department means that all the Check In Conveyors can be customised in terms of design, dimensions and components thus having a Complete Custom Solution. Every airport project presents a different set of challenges: from the space restrictions to the amount of baggage that needs to be handled. Our resourceful and experienced team is prepared to answer to all those challenges. 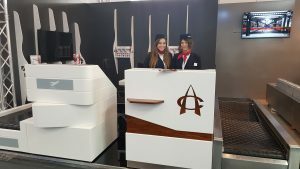 From the design of the solution (using special purpose software to determine the total capacity of the Baggage Handling System), to the 3D design of the projects and up to the actual installation of the projects we ensure a high level of communication with the client. It is our strong belief that a high level of transparency is a key factor for having successful projects. With a dedicated Automation department we offer our clients the possibility of having remote monitoring and diagnosis of the system worldwide. 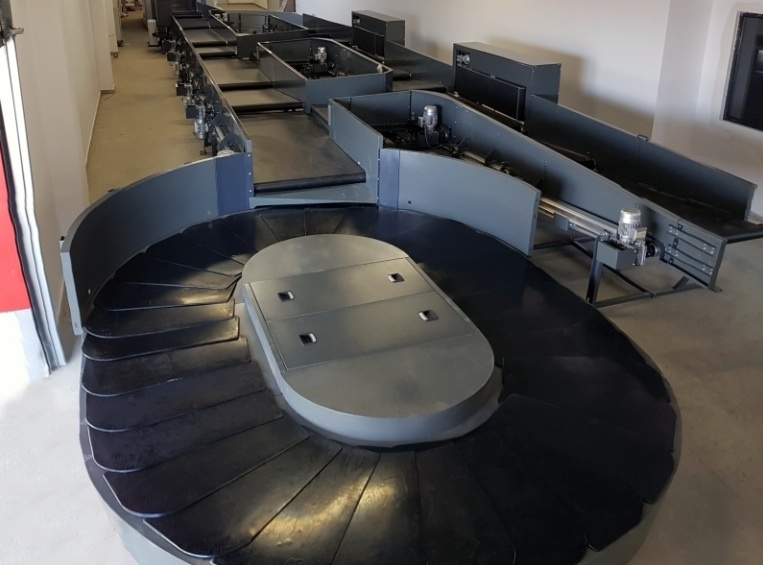 With lengths up to 100 meters and with a high quality finish the Reclaim Carousels produced by Self Trust are reliable and require virtually zero maintenance. One of the critical areas in a BHS are the diverters, these can cause bottlenecks or even blockages. For this we have developed the Zero Gap Powered Diverter, a powerful and reliable equipment that eliminates any space between the belt of the main conveyor line and the belt of the secondary one by using a proprietary solution designed by our Development Engineers.